"Tim's time management and organization skills are excellent. Tim has very good problem solving skills and good oral and written communication skills. Tim keeps managers and coworkers informed about the status of our information systems. Judged by the bottom line results, Tim did great. Tim's employees have done an outstanding job over the past year. Tim made real progress this year in working as a team with IS personnel from Mexicali. Tim is a good delegator. 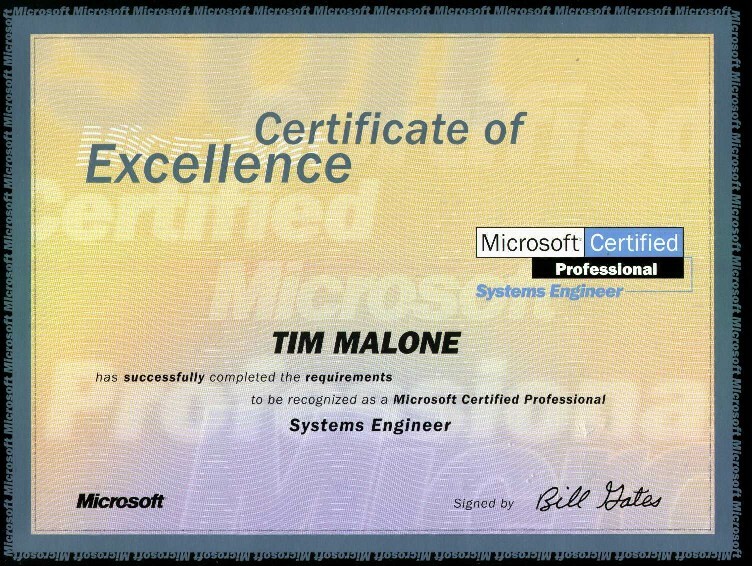 "The most obvious strength is that Tim has successfully completed the critical tasks that he was given. Tim is very good at managing multiple projects. Throughout the year, Tim managed dozens of projects, system bugs and user issues simultaneously while maintaining consistent priorities. Tim, in part due to good organizational skills, gets projects completed and issues solved quickly. "Tim has demonstrated the ability to apply himself to assigned tasks through concentrated effort and putting in extra energy. He has also proven to be capable of giving careful analytical consideration before dealing with complicated problems. This effort brought out some of his creativity which we appreciated. "Tim brings great desire and care to uphold the greatest standards of excellence for his network at Avjet Corporation. His communication style and thoughtful planning helps to ensure a symbiotic relationship with consultants such as myself. I highly recommend Tim as an excellent IT Manager."